YouTube – Spider-man filming in Chinatown Manhattan. 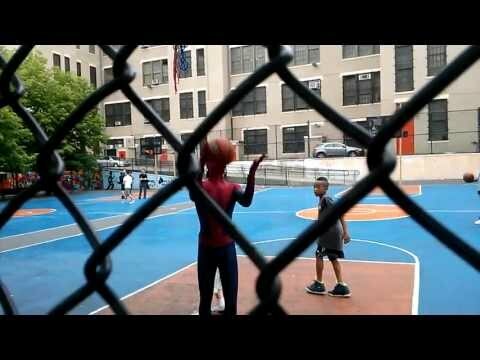 Andrew Garfield took a break to play basketball with local kids. 5/18/13 PS 1 school. Girlfriend Emma Stone on the side with the dog. This entry was posted in Basketball, Movies and tagged spider-man 2, spider-man 2 basketball. Bookmark the permalink.